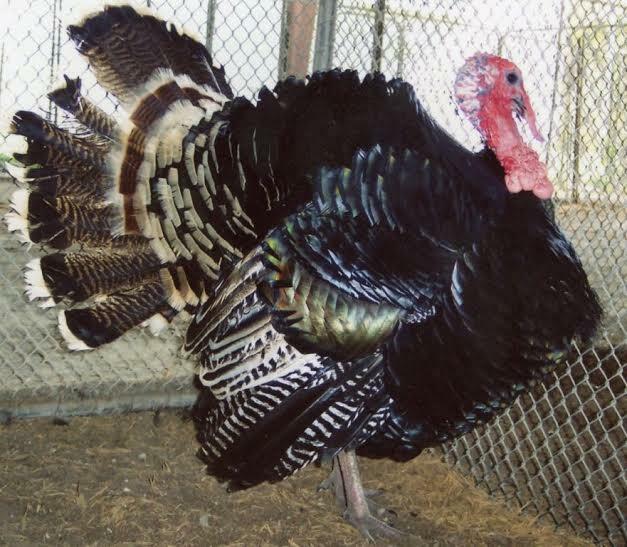 Our heritage turkeys are sometimes called rare turkeys, sustainable turkey and a homestead turkey. 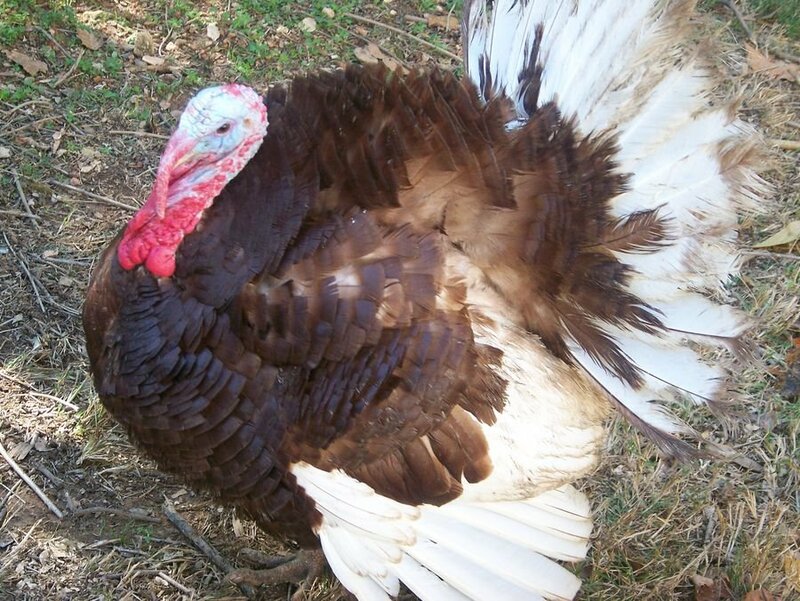 A heritage turkey definition by Cackle Hatchery® is - birds that can mate naturally within a flock, live for several years and are biologically fit for being raised on range and foraging for additional food to eat. 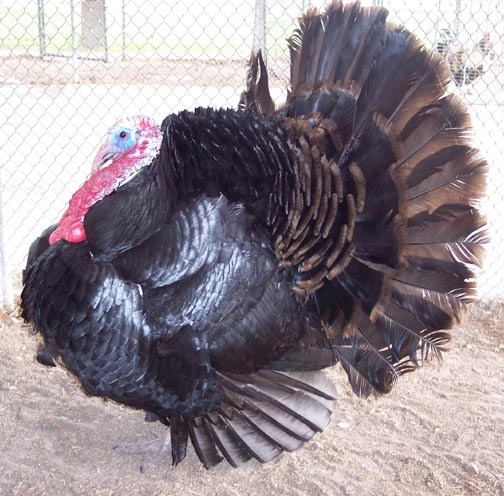 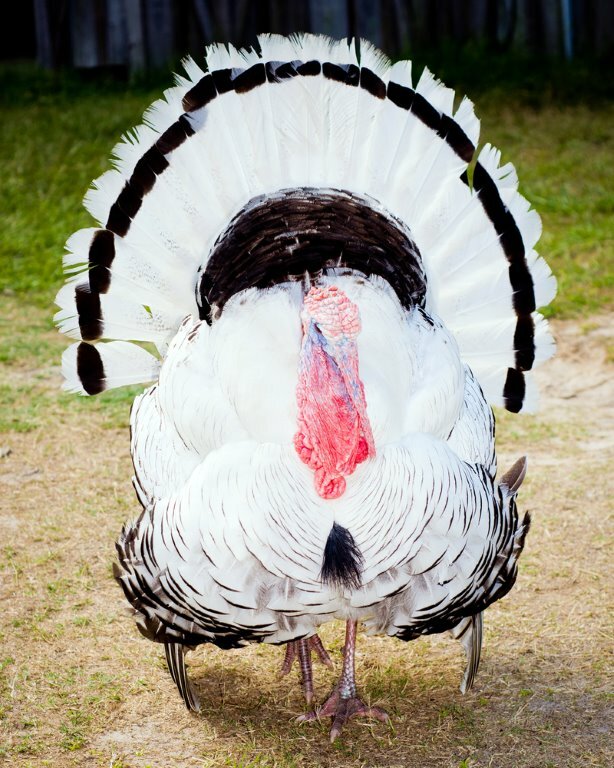 Several of these turkey breeds originated by wild turkey breeds and bred into domesticated blood lines. 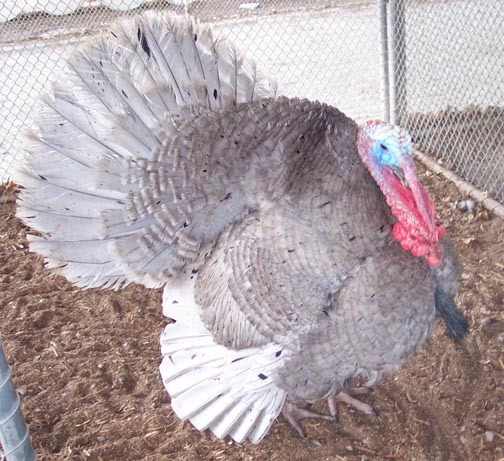 These breeds grow slower than the broad breasted turkeys and do not get as heavy in weight. 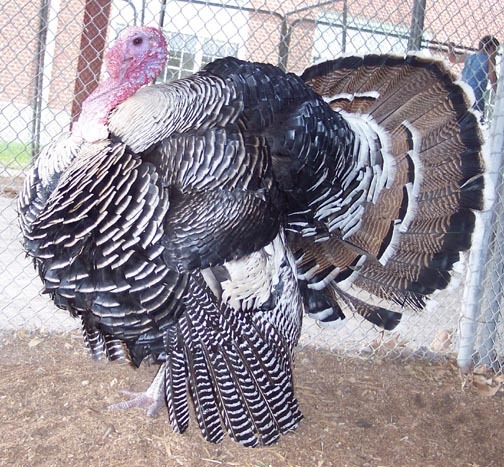 Add these beauties to your back yard or farm and watch them strut and gobble.